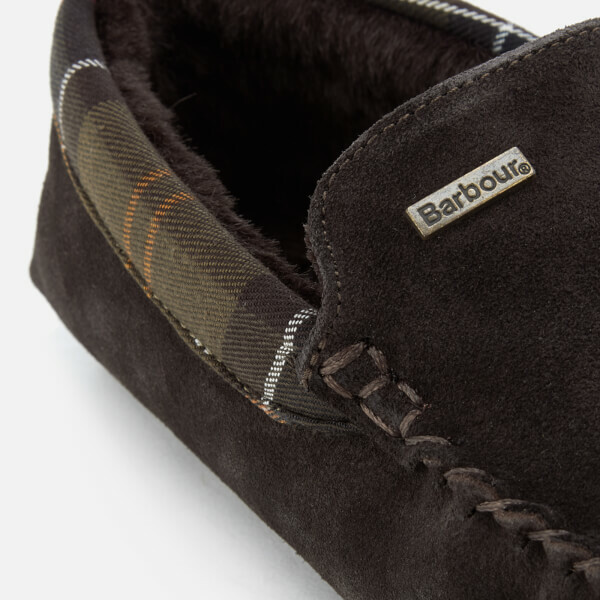 Men’s ‘Monty’ moccasin-style slippers from Barbour. 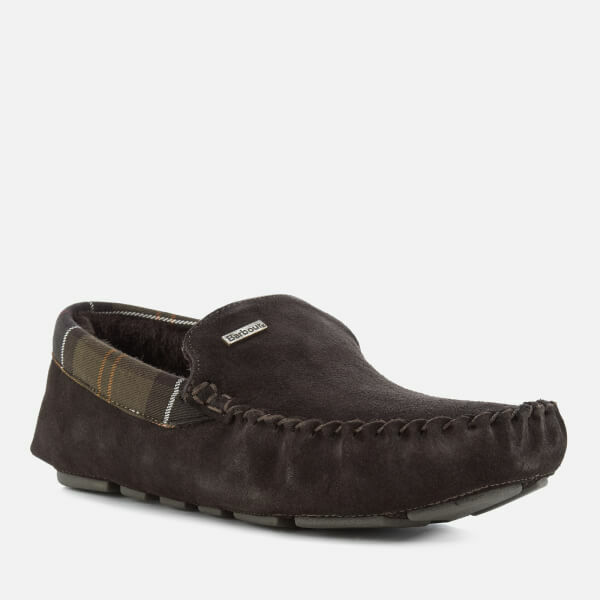 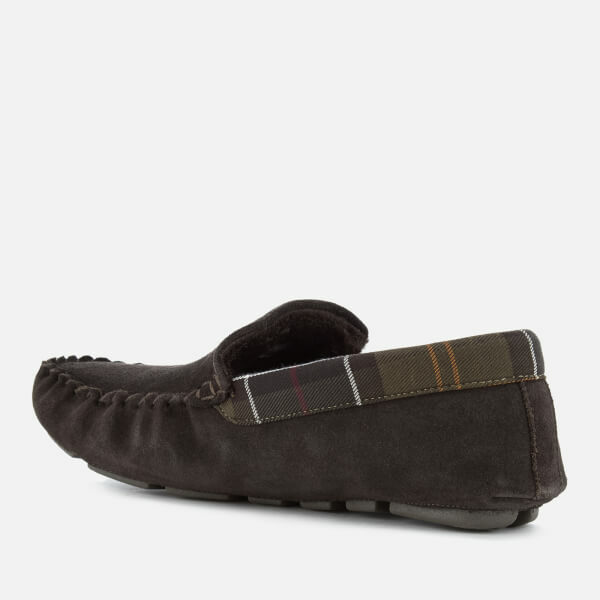 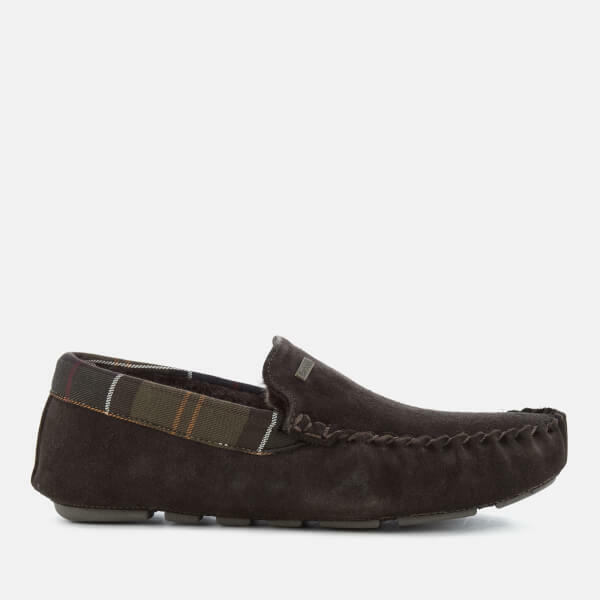 Crafted from brown suede with a warm faux shearling lining, the slippers feature a signature tartan trim around the heel and moccasin stitching around the toe. 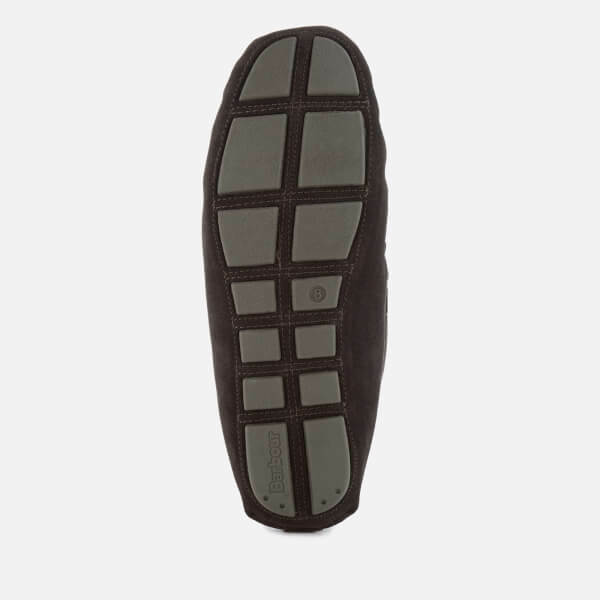 Set on a durable rubber sole for added grip, the slippers are finished with a metal logo on the front.